Blue Crow Gallery's After School Art Program is bursting with creativity and imagination! Join us after school for an engaging art program for school aged children. Taught by experienced art instructors, participants will enjoy exploring a wide variety of art making techniques including (but not limited to!) drawing, painting, sculpture, and printmaking. Activities will encourage individual expression while learning new skills. Let’s see where art can take us! Pick up from: Roden Public School & Equinox, Grade 1 and up. 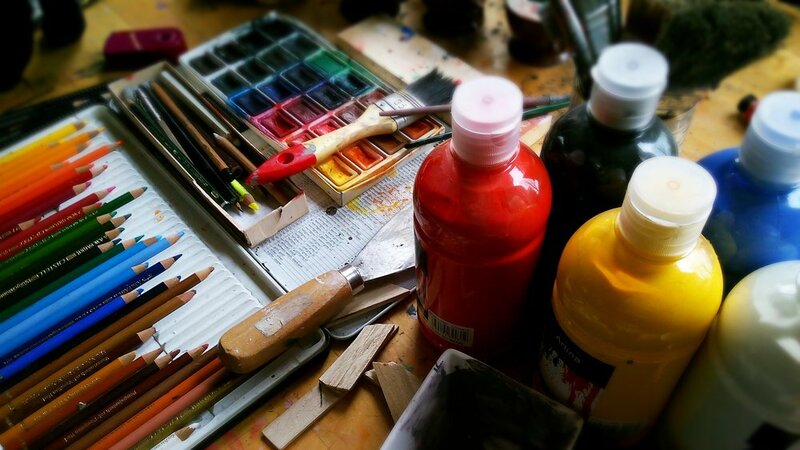 All art supplies and materials included in course fee. Parents can register their children from 1 to 3 days a week, with a Semester commitment (September - December or January - June). Payment for the first month is due before the first day your child attends. Following payments are due every 30 days. Please fill out the form below and someone from Blue Crow Gallery will promptly get back to you. Thank you! Blue Crow Gallery will contact you shortly.